Novak Djokovic of Serbia celebrates defeating Kei Nishikori of Japan during their men's quarterfinal match at the Wimbledon Tennis Championships in London, Wednesday July 11, 2018. (AP Photo/Tim Ireland). 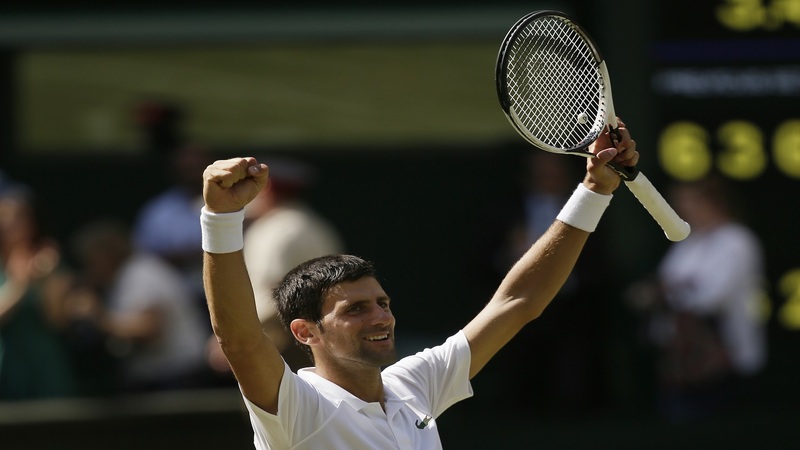 Novak Djokovic shrugged off a second-set slump to reach a Grand Slam semifinal for the first time since 2016 by beating Kei Nishikori 6-3, 3-6, 6-2, 6-2 at Wimbledon on Wednesday. Djokovic wrested back the momentum for good after coming from 0-40 down at 2-2 in the third set to hold serve, and then breaking his Japanese opponent in the next game. Djokovic looked in control in the first set. 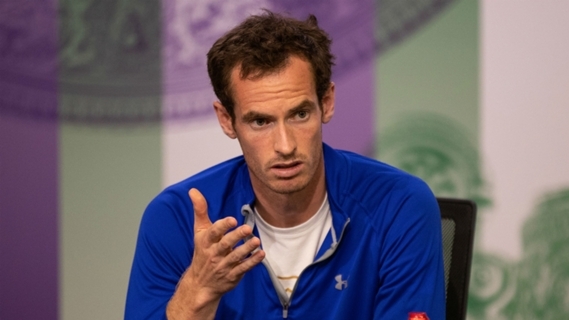 But he grew frustrated after failing to capitalize on three straight break points in the third game of the second set and was given a code violation after slamming his racket into the ground. When Nishikori then bounced his own racket against the court in the fourth set without being given a warning, Djokovic yelled out "double standards" toward the umpire's chair — drawing boos from the Centre Court crowd. That didn't seem to affect his focus, though, and neither did a time violation he was given when serving at 4-2, 30-30 in the fourth set. Djokovic secured that game with a forehand winner, then saved two game points on Nishikori's serve before converting his first match point with a forehand down the line. 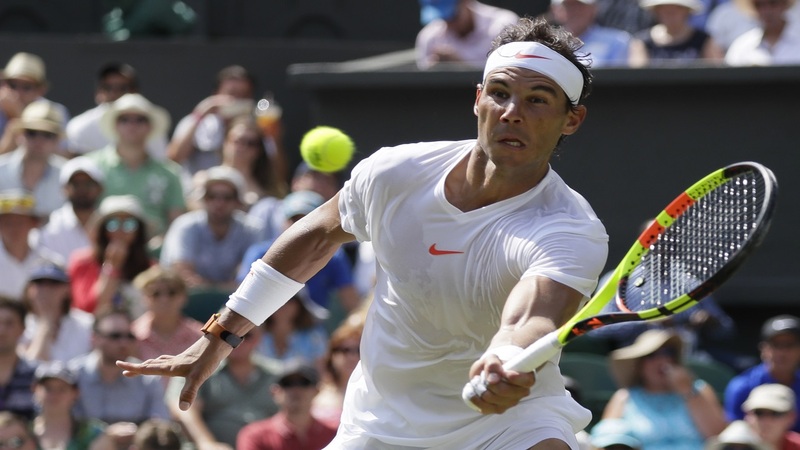 He next faces two-time champion Rafael Nadal or fifth-seeded Juan Martin del Potro in his first Grand Slam semifinal since the 2016 U.S. Open.